Monday, Monday. Wherein I ask for input. I was walking around the city today and I came across this man who talked to me about gluten-free Matzoh and cold soups and kosher deli-meat. His name is Sandy. We were both sitting outside listening to some jazz at an outdoor stage when he inquired about the soup I was eating (recipe link, thanks Martha! I used Greek yogurt and no mint, FYI). I told him that I grew the basil in my garden. 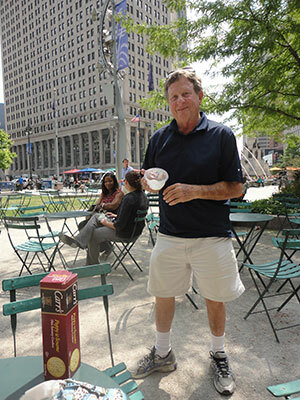 He gave me a sample of his super-smooth mozzarella (infused with goat’s milk! Purchased at Whole Foods!). It was a lovely meeting. And then he left and this other guy who used to stalk me came up to me and freaked me out. La la la, making security reports. Anyway! I have named this week the “Week of the Sundress.” I feel cheated out of nice weather, honestly. June wasn’t that sunny. Apparently July was lovely, but I was out of town…and last week was like the FALL TIME. SO! I’ve resolved to wear my favorite sun dresses every day this week. TODAY! I literally don’t have a head. If you want in on the fun, lemme know. If you want, maybe you can even be featured in WHAT I WORE WEDNESDAY. Oh yes. If all of those are true: which of these do you prefer? (Also, comment if you’re a dude or a lovely damsel because that might tie into things. Not sure. Just pondering). 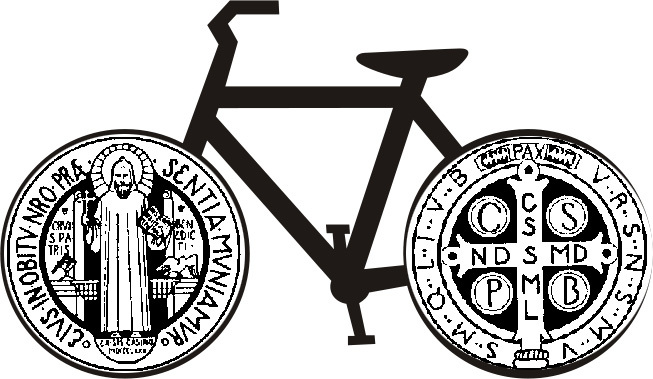 Rough concept: Bike with tires that are the St. Benedict medal. 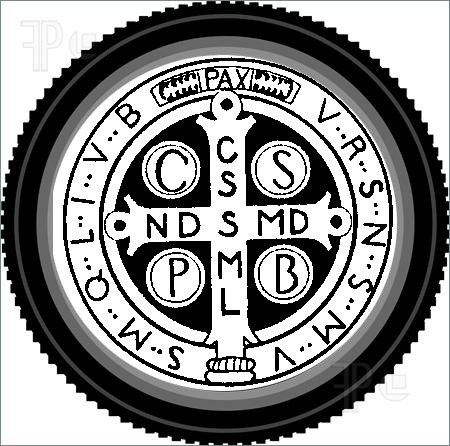 Rough concept: the back of the St. Benedict’s medal (my favzies side) in a bike tire. What are your thoughts on this move by Natalie Portman? I’m intrigued. First one, easy. From a dude. 1) The bike is much cooler. What about having monk in a habit riding it! 3) That was very humorous to read but I’m not convinced it’s actually Natalie Portman posting it. Isn’t she married? 1) I don’t understand why you people like this one more. Silliness. 3) I CHECKED THE INTERNET! By golly, she is married. For the record: they met during her filming of “The Black Swan” and now they live in Paris. Ta da!